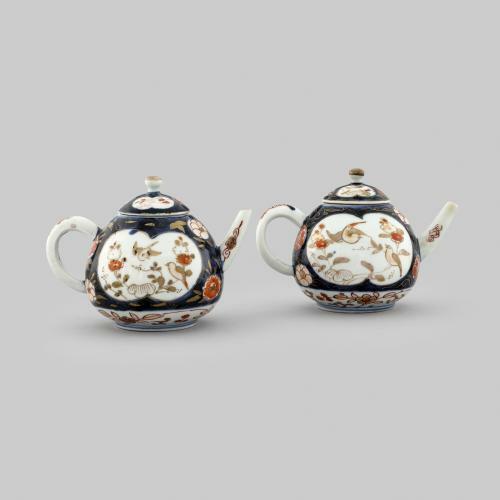 After the fall of the Ming dynasty in 1644, the porcelain industry in China went into decline. 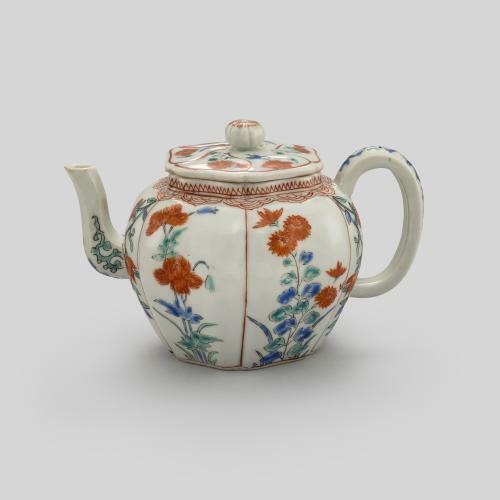 Merchants such as the Dutch East India Company could no longer export large quantities of Chinese porcelain to Europe, and so turned to the Japanese potters of Arita for the export wares that they required. 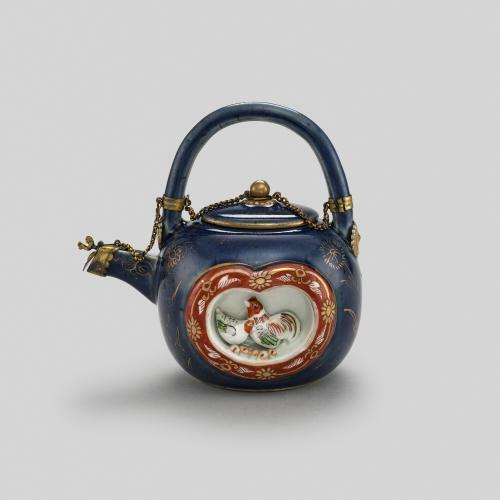 The decorative palette that emerged during this period is characterised by underglaze cobalt blue, overglaze iron red and gilding, known today as ‘Imari’ style. 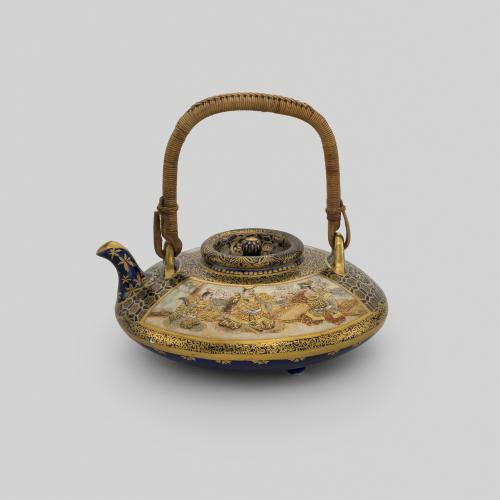 The term originates from the name of the port in West Japan from where these wares and others goods were shipped to Europe during the 17th and 18th centuries. 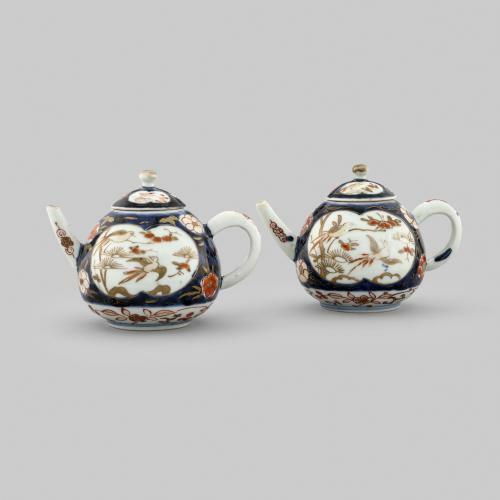 This pair of Japanese porcelain teapots feature typical Imari decoration depicting flowers and birds.